Mrs. Haymaker expresses her sadness at sending Miss Berry only a small gift due to the fact that she receives many other calls for donations. 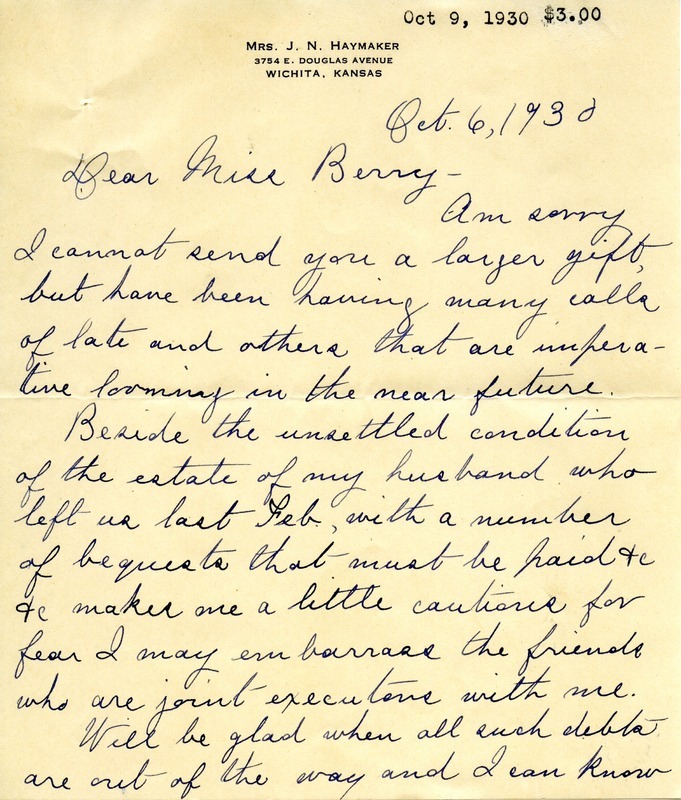 Since her estate remains unsettled after the passing of her husband, she must handle many request in the future as well. 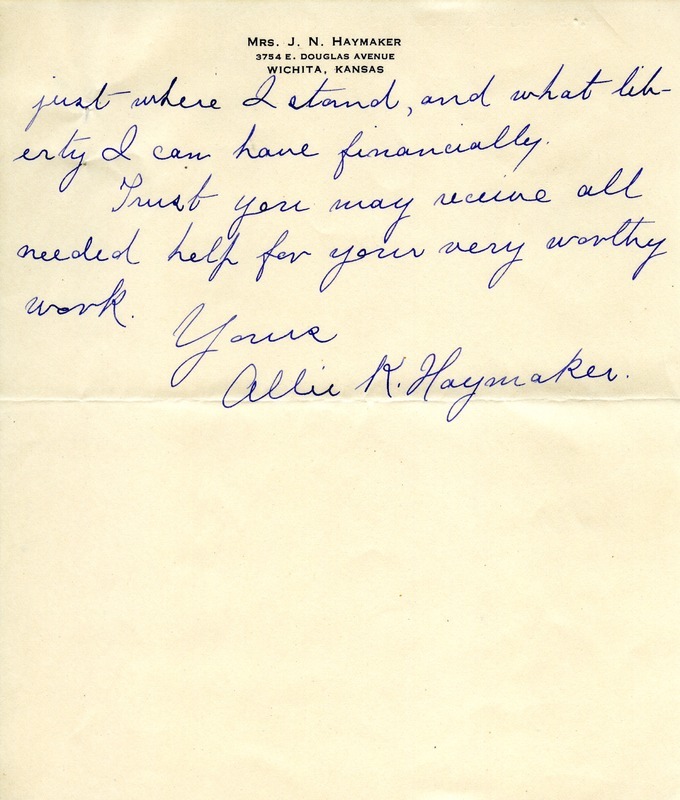 Mrs. Alice K. Haymaker, “Letter to Miss Berry from Alice K. Haymaker.” Martha Berry Digital Archive. Eds. Schlitz, Stephanie A., Meg Ratliff, Kasey Haessler, et al. Mount Berry: Berry College, 2013. accessed April 21, 2019, https://mbda.berry.edu/items/show/12801.